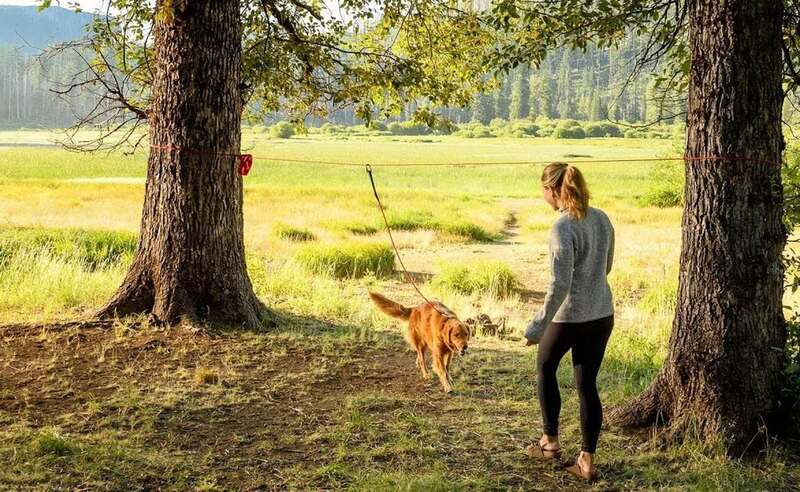 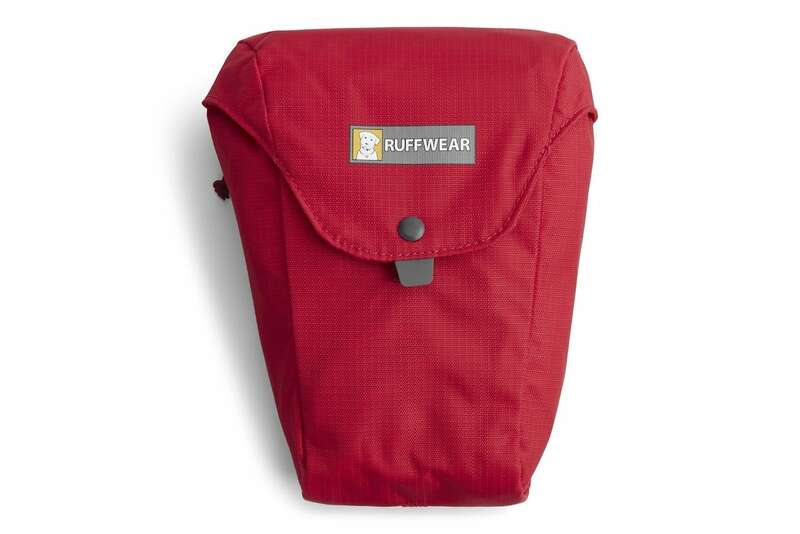 Let your dog roam safely with the Ruffwear Knot-a-Hitch Campsite Dog Tether System. 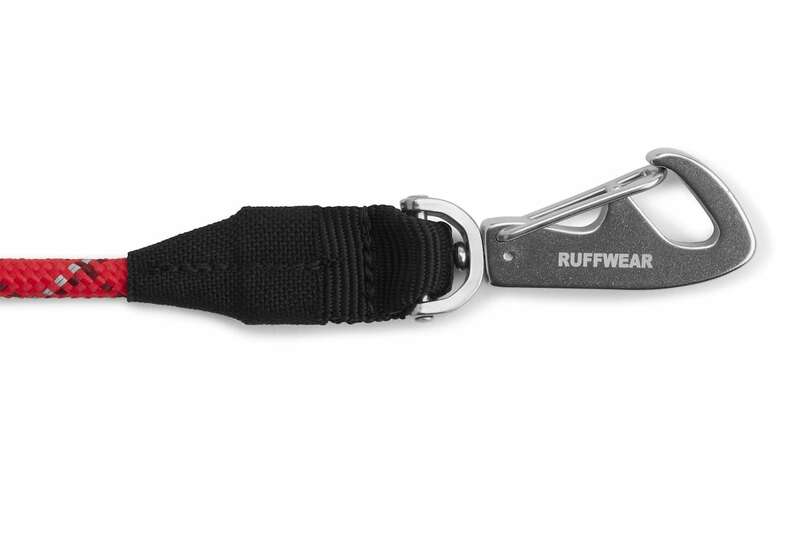 Inspired by rock climbing gear, this hitching system allows your pet to explore while keeping him on a leash. 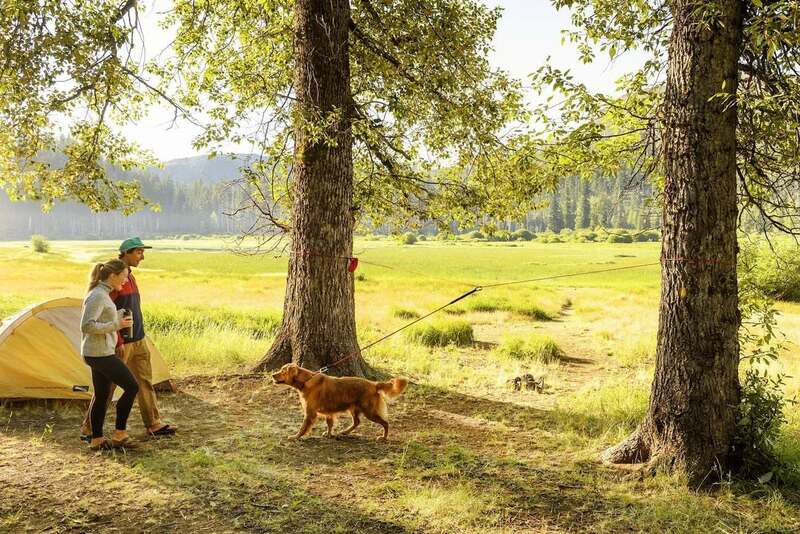 Let your dog roam safely with the Ruffwear Knot-a-Hitch Campsite Dog Tether System. 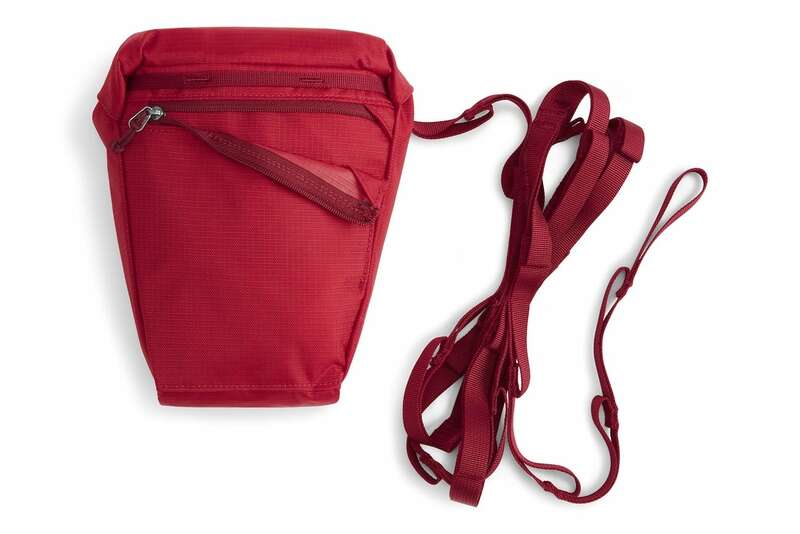 Inspired by rock climbing gear, this hitching system allows your pet to explore while keeping him on a leash. 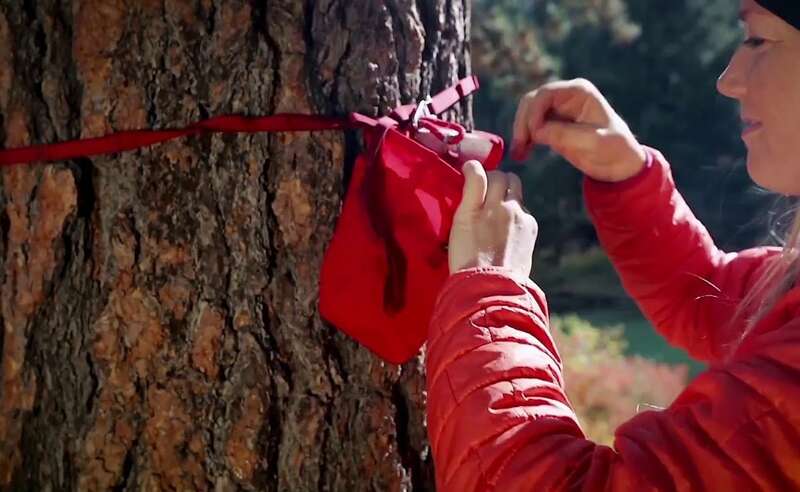 Ideal for camping or outdoor activities, you can quickly secure it to a post or set up between two trees. 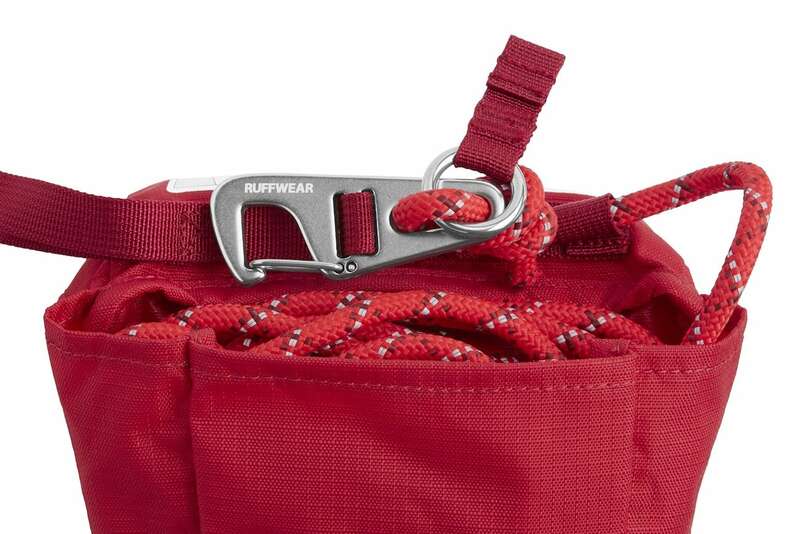 The Knot-a-Hitch comes with kernmantle rope that is both strong and supple. 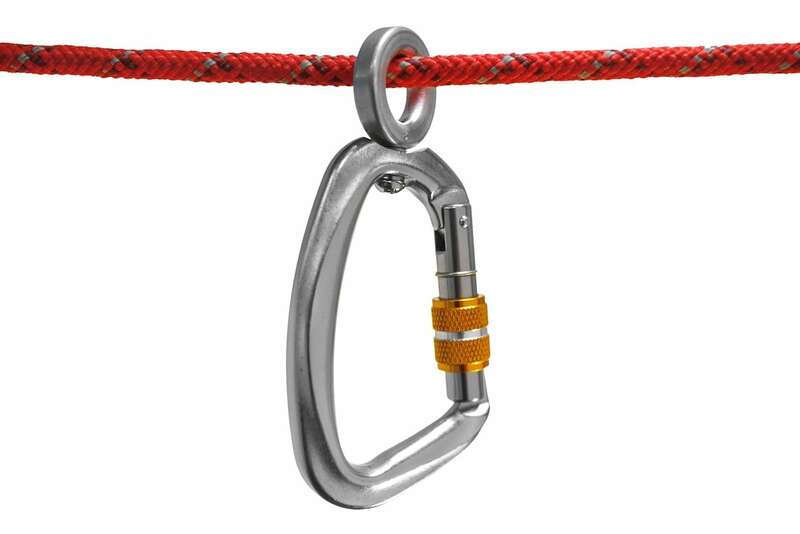 The rope is also reflective, so you’re less likely to trip over it accidentally. 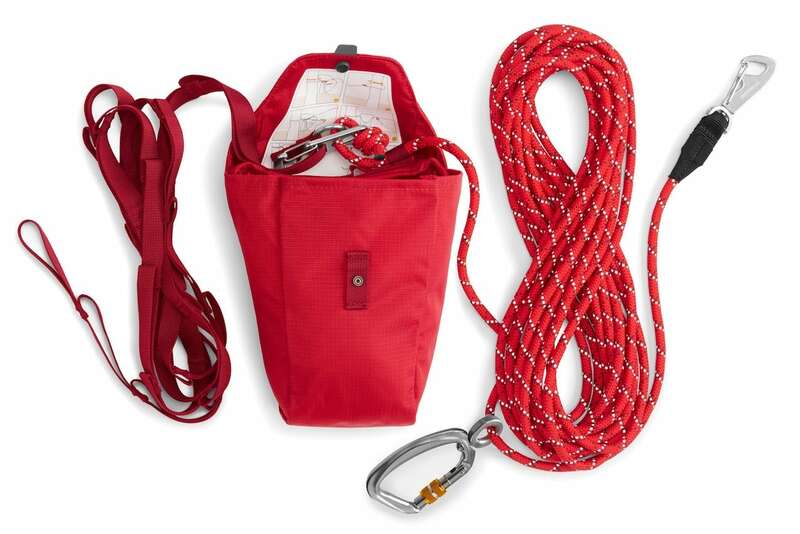 The simple tensioning system is easy to set up, complete with auto-lock techniques that rock climbers use. 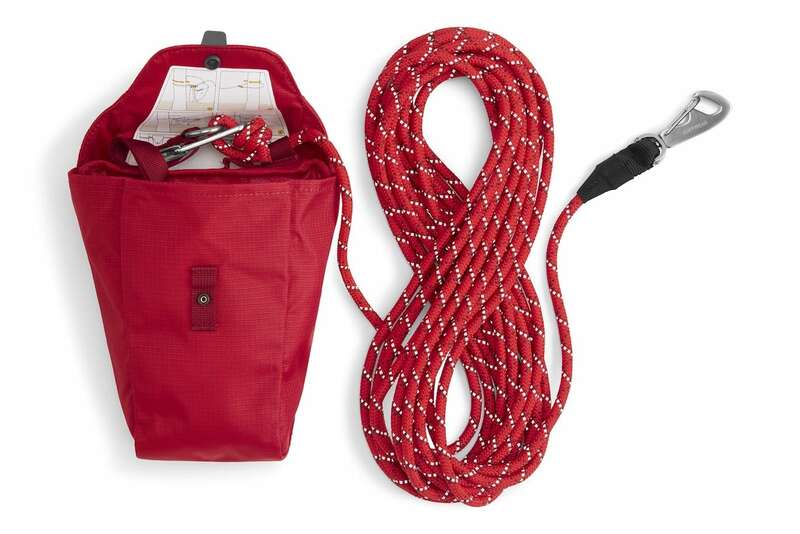 Moreover, the Knot-a-Hitch comes with a convenient and tough stow bag that comes with rope tail ends. 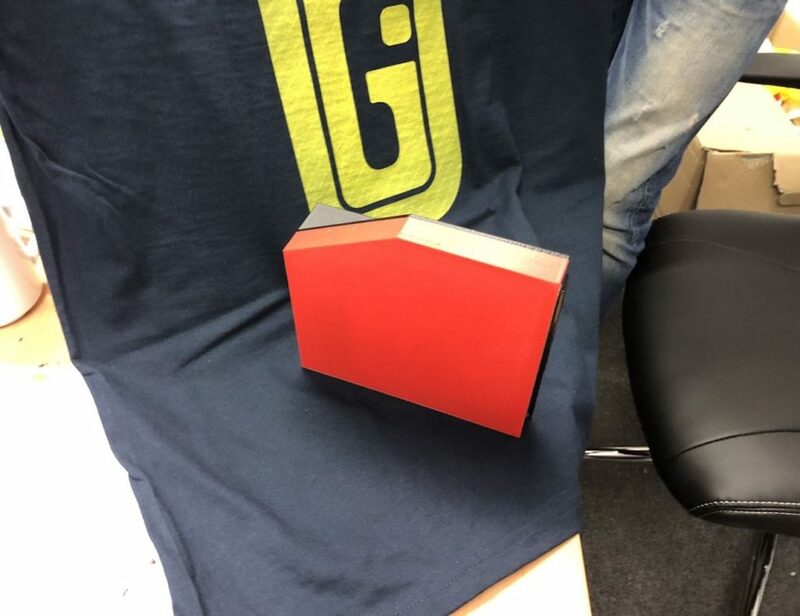 It even has a storm flap to protect what’s inside.